Wondering about baking with olive oil? Can you just substitute olive oil for vegetable oil in a recipe? What about baking with extra virgin olive oil? I had the same questions! Baking with olive oil is easy, delicious & healthy! When I first started working at the wonderful Ristorante di Paolo in Western Massachusetts, I was immediately drawn to one of pastry chef Ellen Darabi’s famous desserts: Lemon Olive Oil Cake. The idea of baking a cake with olive oil sounded a bit strange to me at the time, and I wasn’t sure how the strong flavor of olive oil would complement the dessert. But, like most things I once thought were strange involving olive oil (olive oil on toast for breakfast, olive oil, and sugar as a body scrub, deep frying in olive oil, etc. ), I grew to love this delicious creation in no time. Before long, I was secretly hoping a fellow co-worker would make a mistake and prepare this delicious cake for a customer by mistake, and, alas, the staff would have to eat it since the whipped cream and strawberries on top would soon spoil. I would sometimes take a piece home at night, taking advantage of my employee discount. I won’t lead you on anymore. I don’t have her recipe! But I do bake with olive oil (always virgin or extra virgin) and I’ve created some delicious recipes. While my recipe for lemon olive oil cake may not be Ellen’s, it’s still absolutely delicious. Sometimes I still serve it with sliced strawberries and basil marinated in balsamic vinegar and sugar. Moist and delicious Spanish olive oil cake. 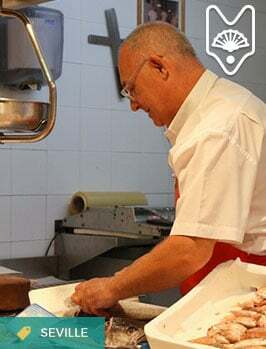 Here in Spain I quickly realized that many people bake with olive oil. In fact, in almost all baked goods (quick breads, cakes, and cookies) that I’ve eaten here use olive oil as an ingredient. Where my family recipes call for heaps of butter or canola oil, my mother-in-law’s recipes call for pools of olive oil. You can substitute olive oil for other cooking oils for most quick breads, cakes and brownies with very little change. There are hundreds of different olive varieties in the world– each one produces juice (aka olive oil). Each juice has a different flavor. Some flavors are really strong (very “green” olive oils can taste of freshly cut grass or tomato vines). Taste your olive oil before using it in a recipe to make sure the one you’ve chosen compliments that recipe! 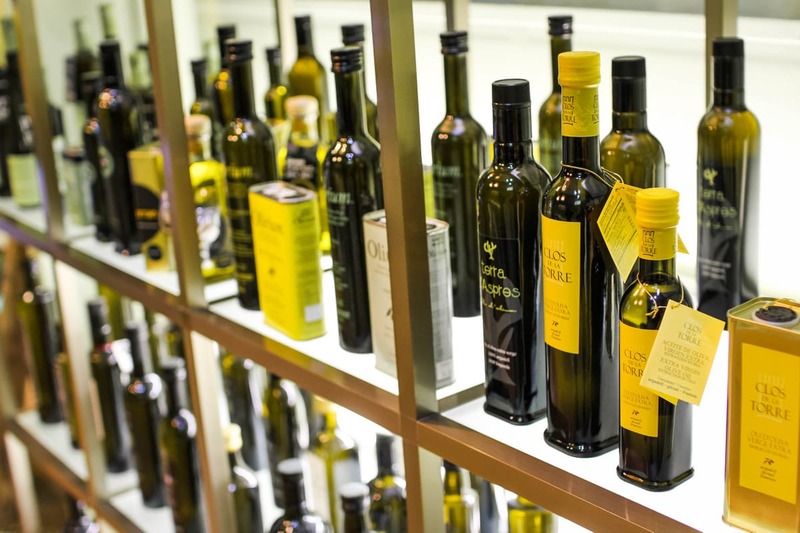 Make sure your olive oil is in good condition– remember it is a juice– it gets worse with age! 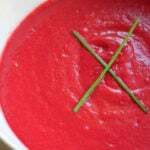 Keep it away from heat and light (away from the stove!) and use within two years of when it was bottled (look for this date on the bottle– good olive oils have it). Some of the best examples are Spanish bizcocho recipes. A bizcocho is basically just a quick bread (like zucchini bread or banana bread) that rises without the use of yeast. 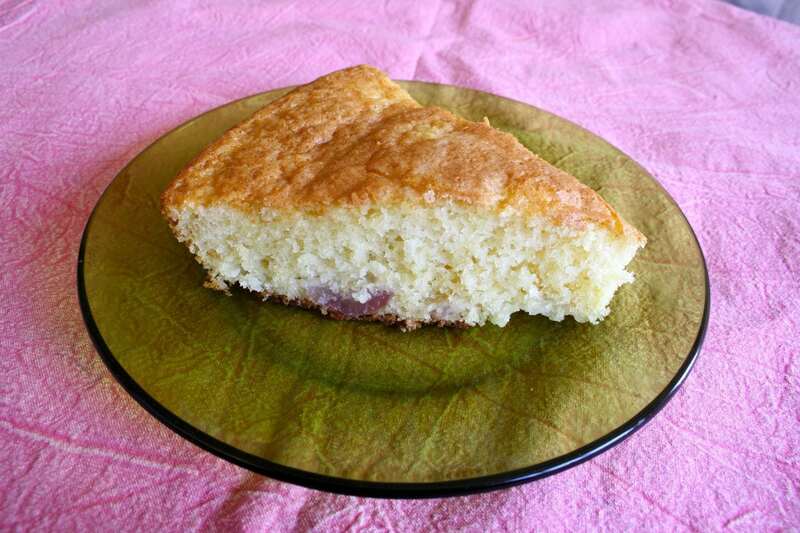 Like the similar “bread” in English or “plum cake” in British English, a bizcocho can be made of just about anything. Popular variations include orange, chocolate, yogurt, apple, and vanilla. I decided to experiment with a recipe for Bizcocho de Yogur con Manzana (Apple Yogurt Bread) to potentially include the recipe in a future cooking class and took over my mother-in-law’s kitchen once again (despite past experiences). The cake came out good, but not great, due to my ongoing Spanish oven difficulties. Why isn’t there a bake mode?! It started to burn on the top after a very short time so I ended up having to lower the heat and turn off the top burner of the oven… quite the experiment! 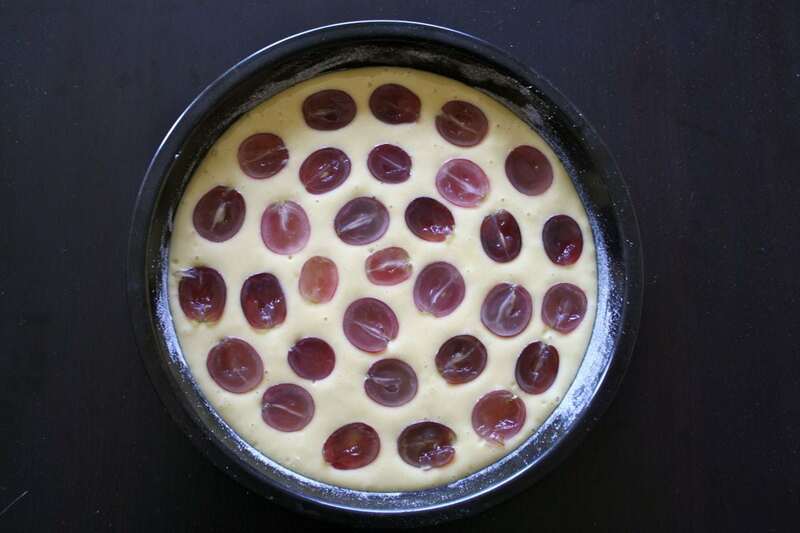 When I got back to Madrid I baked it again in my own oven and tried it with grapes instead of apples. It was quick, easy, and delicious. We ate a slice with our afternoon coffee and I enjoyed the rest for breakfast over the next few days. It’s not a very complex cake, but it’s sweet and airy and stayed moist all week long. Let me know how you like it! Baking with olive oil is easy! 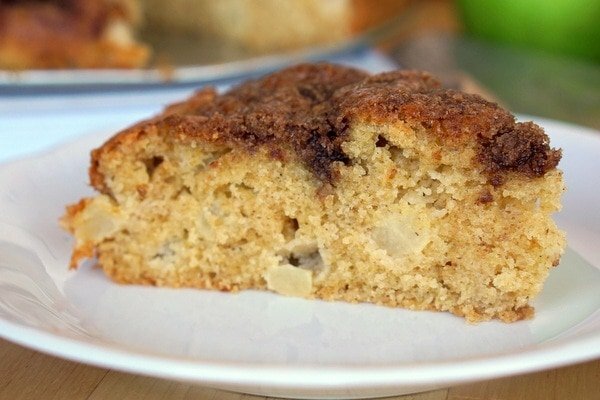 Try this apple yogurt bread recipe and enjoy! In a large bowl beat the eggs and sugar. Now add the yogurt and oil and continue mixing until the batter is smooth. Butter and flour the pan (I use a 9x9 round) and pour in the batter. Sprinkle the fruit on top and it’s ready to go in the oven. Bake at 170 Celcius/340 Fahrenheit for about 30 minutes. (Time will depend on the pan you use). It is ready when a toothpick inserted in the center comes out completely clean. Let the cake cool and top with powdered sugar. Enjoy for your merienda (afternoon snack) with coffee or tea. The grapes sunk to the bottom but they were still delicious! What do you think about baking with olive oil? Are you convinced? I hope so! I’ve definitely used olive oil as a sub for American vegetable oil in brownie mixes in Spain – and now I’ve admitted that I can’t actually bake, and that I sneak in Betty Crocker mixes from home , but I couldn’t taste the difference! It definitely depends on the “strength” of the olive oil you use. The suave doesn’t really taste different but if you use unfiltered EVOO… oh yeah it tastes like olives! 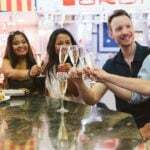 I love visiting your blog and always excited for your recipes, ideas and thoughts about Spain. I cant wait to have internet in my piso so I can attempt your recipes and others. Iǘe never baked with olive oil before but would be curious to try. Iǘe also realized Iĺl have to try my hand at making vanillasince they only hacve fake stuff here. (this darn school keyboard is not good). Yes! Make your own vanilla! I need to do that asap since it takes about 3 months. I’ve always done it using vodka but I just read a blog that recommends rum… I might try that! Mercadona sells vanilla beans ridiculously cheap too, like 1 euro for 2!! Anyway, thanks for reading! Good luck cooking! I’ve heard of using bourbon, too! 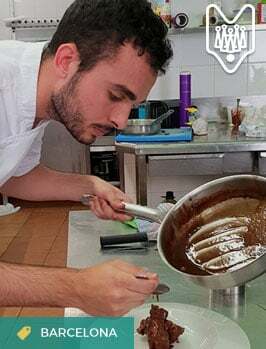 I think baking with olive oil can be great (I use it a lot in brownies and quick breads) however, I believe it’s part of the reason why Spanish desserts and pastries tend to be not as great or well-known as French ones, which use copious amounts of butter. I came across your blog via Cat @ Sunshine & Siestas, and I love it! 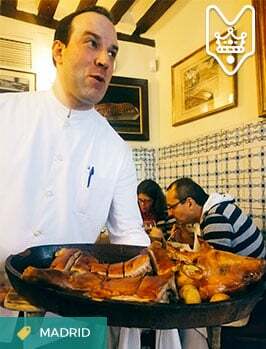 l’m in Puerto Rico now, but I lived in Spain last year, and I miss it (and the food) tremendously. I’m following, and will have to try out some of your recipes too! Thanks for reading Ashlee! I definitely agree– not as well known and (in my opinion) not quite as delicious… Love your blog too, I look forward to reading more! Why I didn’t wake you up today. Hoarder!!! 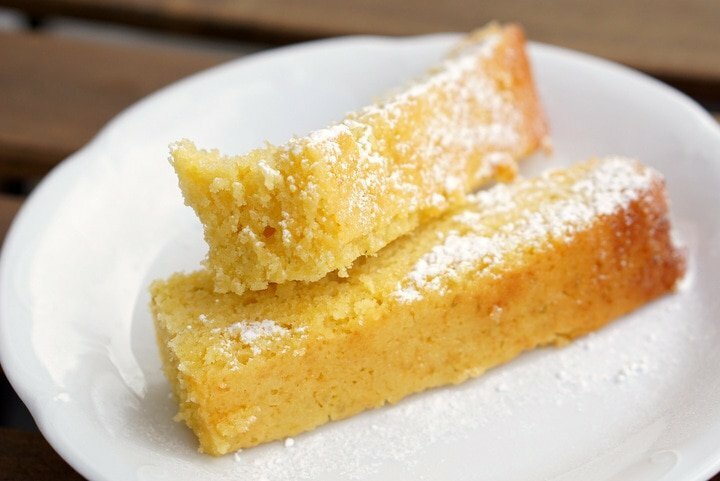 Pingback: Spanish Olive Oil Cake with Lemon and Almonds - An Insider's Spain Travel Blog & Spain Food Blog!